Ramona Chealander, 95, died Saturday, August 25, 2018 after a brief stay at Mercy Medical Center in Merced. She was predeceased by her husband of 71 years, Jerry, and is survived by her five children, Joanne Swiderski (Frank), Jeanne Chealander, Jan Morrison, Mark Chealander (Sue), Marianne Hunter; her 10 grandchildren and 13 great grandchildren and her brother Merril Thiel (Ruth), her sisters Shirley Froseth (Jerry), Jean Ryan, Janet Galvin and her sister-in-law Nancy Thiel. 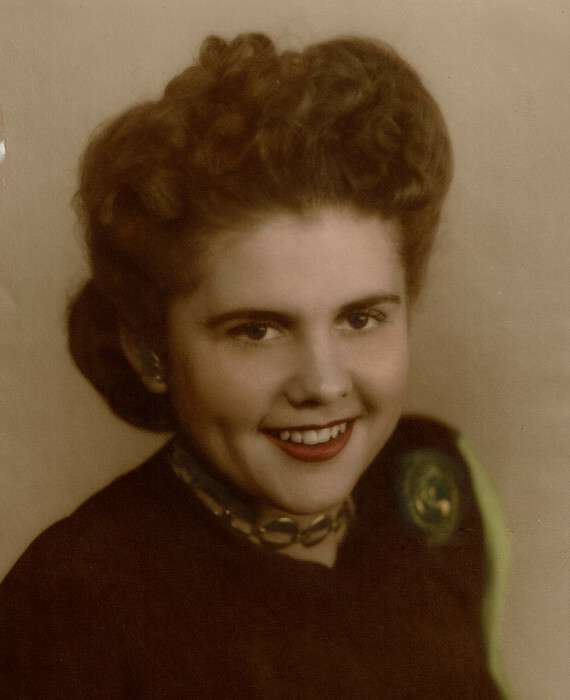 Ramona was born August 5, 1923 in Valley City, North Dakota, to Carl and Clara Thiel. She was raised on a farm with her four brothers and four sisters. Ramona was a generous, friendly person, formed in part by her experiences growing up during the great depression. The Thiel family would often host those less fortunate at the family dinner table and provide a home for children in need. Ramona met the love of her life, Jerry Chealander, in East Grand Forks, Minnesota while he was training to become a pilot in the Army Air Corp. When Jerry went to war in the Pacific, Ramona and her aunt Thelma moved to Los Angeles. She supported her country and the war effort by working as an aircraft riveter for the Northrup Corporation. In 1946, she and Jerry married and raised 5 children. Ramona was an inquisitive, creative woman for whom no task was beyond her reach. She enjoyed flying with her husband, painting, gardening and golfing. In lieu of flowers, contributions in memory of Ramona may be made to the Anugraha Charitable Trust (Fr. Thomas's orphanage in India) in care of Anugraha ACT, Inc. PO Box 2558, Merced, CA 95344.